HiTi Photo Printer P525L, compact size WxH at 12.8x14” and weighing 39 pounds, is ideal for Photo Booth application and on-location event photography, theme park. It produces great photo quality prints in seconds at affordable prices. Designed as an easily movable roll-type printer and weighing only 39 pounds, the P525L brings the flexibility to do on-location on-location event photography. Apart from glossy photos, HiTi P525L is capable of matte finish. No media change required! Download the “Prinbiz” App for use with iOS and android and you will be able to print photos from your hand-held devices via the “Prinbiz” App. Useing a carder reader with a USB A-type slot for “Prinbiz WiFi dongle”, you can browse the photos on the memory card by hand-held devices and print via the “Prinbiz” App . 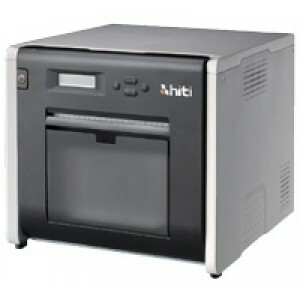 As per HiTi's terms, any issues with the printer or media after purchase has to be handled directly by HiTi.